Phantom 3 SE: Is This the Best Entry Level Drone Now? DJI recently announced the newest drone to the Phantom lineup, and it isn’t a new Phantom 5. It is the Phantom 3 SE. DJI now sells two different versions of the Phantom 3. The older Standard and now the SE. The Phantom 3 SE is an upgrade to the Phantom 3 Standard in many ways. You can purchase a Phantom 3 SE from DJI for $599. How does it compare to the older Phantom 3 Advanced or Professional? DJI may have discontinued these two models, but you can still find them pretty easily. The Phantom 3 SE is very similar in many ways, in particular to the Phantom 3 Professional. They both have 4K capable cameras. The Professional has a 5000 meter range, where the SE is “limited” to 4000 meters. The SE tops the Professional in flight time with 25 minutes to the 23 minutes of the Professional. We would recommend the newer SE over the Professional. The longer flight time and cheaper price tag put the SE ahead of the Pro. If you are thinking of getting a Phantom then you may be considering making some money with your new drone. If you are going to do that you will need some training and a Part 107 license. The real decision comes down to whether or you should purchase a Phantom 3 Standard or spend the extra $100 to buy the SE. We will break down the differences between the two models. The Phantom 3 SE improves the range to almost 2.5 miles (4 km) vs. the 0.5-mile range on the Standard. 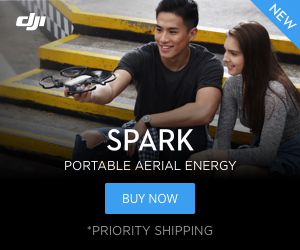 Like the Phantom 3 Standard, the SE still utilizes WiFi technology rather than DJI’s advanced Lightbridge connection. However we suspect that DJI has updated this technology significantly in order to achieve such fantastic results. The Phantom 3 SE camera is also superior to that on the Phantom 3 Standard. It has the capability of shooting video in 4K at 30 fps. The Standard is limited to 2.7K video. Both machines can capture still photography at 12 MP. The Phantom 3 SE adds a Vision Positioning System. This will help the SE be more stable both indoors and out. The Phantom 3 Standard does not have a Vision Positioning System but does utilize GPS to help keep it stable. The Phantom 3 SE does also utilize the same GPS system as well. The flight time for both quadcopters remains 25 minutes. We would recommend picking up a second battery. Should You Get a Phantom 3 SE? The Phantom 3 SE is definitely an upgrade over the Phantom 3 Standard, but the question is it worth an additional $100? The short answer is yes. The better camera, better stability, and better range are are worthy additions to the quadcopter. DJI’s recent release of the Phantom 3 SE makes you wonder if the next DJI Mavic won’t be the Mavic 2, but rather the Mavic SE. The Phantom 3 Standard is still an impressive machine. The camera quality is still excellent. The Standard is still a very stable machine and the range isn’t a big deal if you only fly within line-of-sight. If you are looking to save money then the Standard is still an excellent choice. We would even recommend a refurbished Phantom 3 Standard. This often will lower the price another $100. What are the best drones now? Every month we update what we believe are the best drones on the market. 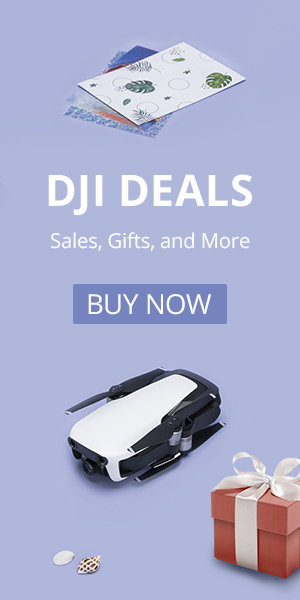 Check out Best Drones Now. We have also created the one-of-a-kind Half Chrome Drone Cipher™. You answer a few questions and we’ll pair you with the best drone for you. Let Half Chrome Drones help you find the right drone for you and your budget. Do you want to search by price? Click on your menu above or we can break it down for you. Check out drones under $50, from $50-100, from $100-200, from $200-500 or over $500. Maybe you like a good Top Ten list, we’ve got you covered. If you want to learn more about taking great pictures or flying FPV then check out our comprehensive guides on those topics. Also take a look at our articles on how to choose the right drone for great aerial photos or for getting started flying race drones. Learn more about drones and how to get the most out of them in our Drone Academy. In the Academy we also detail some of the advanced testing we do, including our recent addition, drone thrust testing. Did you know that Half Chrome has its own YouTube Channel? We have reviews, flight tests, crashes, 360-degree videos and more. Check it out and subscribe today. This website contains affiliate links, which means we receive a commission if you make a purchase using these links. For full details visit the disclosures and disclaimers page. Pingback: DJI Spark vs Mavic: Which one is the best drone for you? Pingback: DJI Is Building a 360° Camera Drone, When Will We See It?